I’m not an easy traveller and don’t really do holidays except under duress – liberally applied by my girlfriend Westie. One thing that does motivate me to leave the country is the promise of filling certain gaps in the wardrobe. It’s funny how one associates certain items of apparel or modes of dress with one or other country. For example, I always associate England with suits and business shirts. Conversely, I always associate America with weekend wear. The result being that on past trips, as in future ones, I’ll seek out chinos (Bill’s Khakis), jeans and high performance working footwear, like Red Wing Boots or the much sought after Alden Indie Boot. Gitman shirts, Woollen Mills Pendleton shirts, Nantucket Reds and Bass Weejans all go on the list. But I’d never buy a formal shirt in the US. Where ever I travel I tend to have a precast list of things which either I can’t readily get in the UK or which would be of a better order and better priced in my chosen country. There are few countries in the World from which I could not conceive of some item or other worth acquiring. Even countries not necessarily known for their sartorial standards like New Zealand or Australia. I highly recommend possum socks for those winter months and Paua shell cufflinks should you find yourself headed to NZ. And of course if you’re going to Oz then RM Williams boots are a must. So, it should come as no surprise that prior to my recent trip to Italy I drew up a list of items. For reasons that escape me, when I think of Italy I think leather, cashmere and fine gauge wool all. And in the next instalment I share what I bought, where I bought it and why. 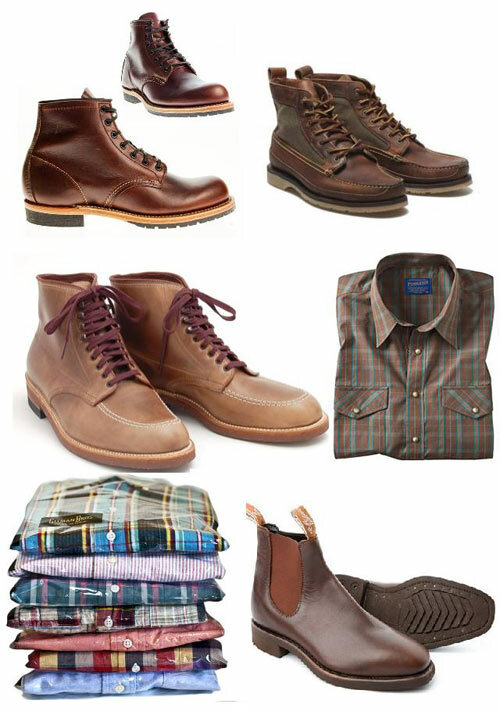 USA : Brooks Brothers shirts and outerwear, Alden and Allen Edmonds shoes, running gear, Ralph Lauren, LL Bean. England : Barbour, Church’s or C&J shoes, dress shirts and cufflinks. Italy : Knit ties, small leather goods, cufflinks, cashmir. Brazil : Richard’s shirts and swim trunks. Beach clothes. Argentina : Leather goods, cashmir. Spain : Loewe ties and cufflinks, Spinoza socks, Massimo Dutti, small family owned shops have always interesting goods.